Welcome to The Basement Doctor WV Customer Center! Here at The Basement Doctor West Virginia, we are committed to the highest level of customer service, beginning with your call in to our company, product installation, and beyond. 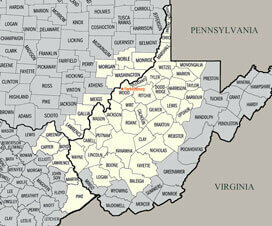 Basement Doctors West Virginia's Customer Centers goal is to educate, inform and reward our customers. You will find helpful tips about your Basement Doctor Systems as well as our money in your pocket referral program. Requesting your annual maintenance service will help us ensure that your systems are running properly. Your Homeowners Manual provides valuable information about your Basement Doctors Systems don't forget to take a look. Once the job is complete Basement Doctor West Virginia's commitment doesn't end. We want to ensure all of our customers services and products continue to provide a safer, healthier, drier, cleaner, and more energy efficient home. If you have further questions or concerns, don't hesitate to contact us at 1-877-620-8165!